The future will show if Greece will stay in the eurozone, but in any case, the European Union will help the country, Lithuanian President Dalia Grybauskaitė said on Sunday. "We have to make a decision on whether Greece's proposal and the respective meetings by the finance ministers lead to the possibility of starting discussions as to whether a third bailout program for Greece is possible at all," Grybauskaitė told reporters on her arrival for an emergency summit of the eurozone's leaders in Brussels. "In any case, Greece will not be left alone. It will be helped, but the future will show if this is in or outside the eurozone," she said. 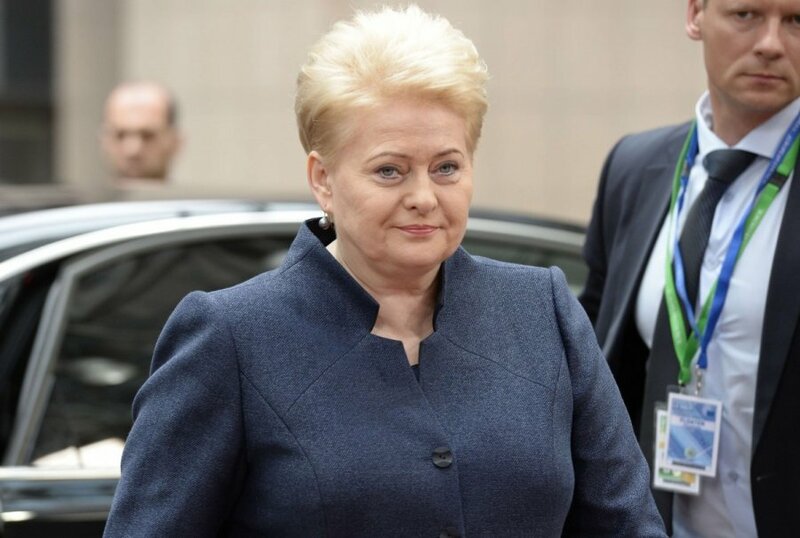 The Lithuanian president said that both scenarios were painful. "At the moment, both scenarios are very painful to Greece and very costly to Europe. This is a huge failure that a developed country has such a huge debt that even Argentina did not have," she said. Grybauskaitė said that eurozone finance ministers had not reached agreement because there was no trust in Greece. "Until now, our ministers of finance where not able to agree and that's exactly because there is no trust, there are no enough proposals as to who will be covering the problems, and the financial and debt situation is deteriorating every day," she said. When asked if she would support a temporary Grexit, Grybauskaitė said: "No, I would like to see reliable and verifiable proposals from Greece. "If somebody is changing their opinion each week, gaining trust is not easy, but, of course, we want not only to see the proposals, to see promises, but we want reliable actions, laws on the table agreed overnight, if necessary," she told reporters.